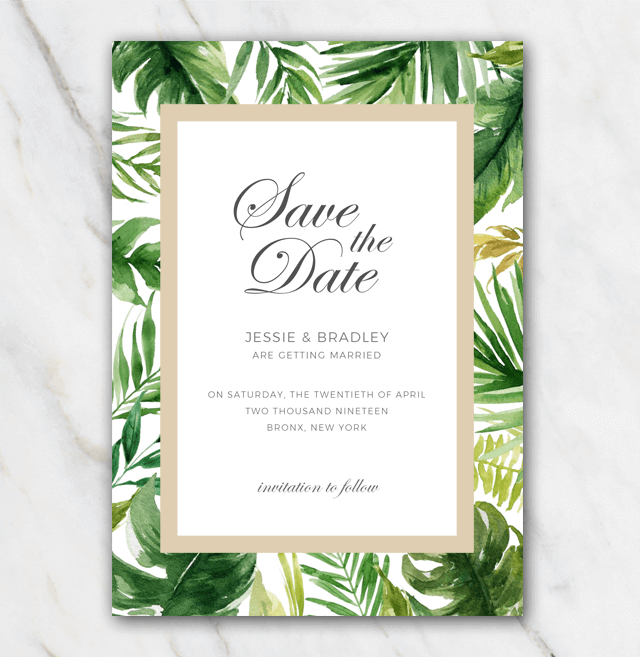 This wedding save-the-date template has a lovely tropical touch to it with its green palm tree leaves and the golden frame. The font used in this template looks very elegant and sophisticated. And it's so easy: just hit the 'Free download' button, unpack the zip-file and install the fonts. Edit the information on the save-the-date to your own wishes and save it to print either at home or at your local copy shop. Not really your style? No worries, just have a look at the other wedding save-the-date templates on this page.